Efficient sewer systems are an essential part of the urban infrastructure. Therefore having a continuous program of sewer rehabilitation is of correspondingly high importance. The name of ProKASRO stands for progressive sewer rehabilitation robotic systems signifying tailored solutions for exactly these jobs. The ProKASRO rehabilitation equipment helps to restore sewers into perfect conditions. This is significantly easier and cheaper than replacing sewer pipes using traditional methods. By using ProKASRO sewer rehabilitation equipment, the entire underground sewer system is safeguarded whilst maintaining ecological, hygienic and technical standards. 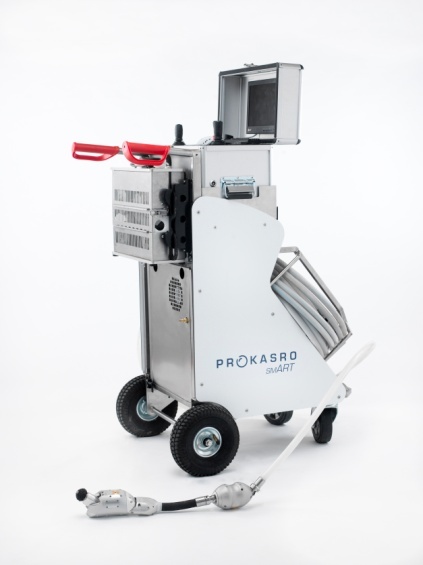 Robots, Systems for Lateral Intake Rehabilitation and UV-Technology; ProKASRO is a full-range manufacturer and supplier for sewer rehabilitation. We provide damage diagnoses and repairs to be carried out without excavation work, traffic obstructions or noise. Working within short rehabilitation time-frames ensures that it is not usually required to block off the sewer during rehabilitation work. KASRO robot systems and systems for Lateral Intake Rehabilitation are available for different pipe diameters from DN 100 to DN 1000 and can be combined together as required. This means that operating the favoured rehabilitation system is possible. Various tool attachments permit the sewer robots to perform milling, grinding, filling, molding and injection operations. They can also be used for positioning balloons and installation of top hat profiles and liners for lateral connections. All rehabilitation work is managed and monitored from a rehabilitation vehicle which is individually designed and constructed to the customers own preferences. On an optional basis transportable mobile control units are also available if preferred or required. ProKASRO is also the market leader within the field of UV curing Technology from DN150 to DN1500 – whether mobile or within a rehabilitation vehicle. Manufacturing all products is performed 100% in-house: from the working robots to the UV-Technology, from the individual product idea to an advanced production. New products for the sewer rehabilitation are developed in-house; existing units are continuously developed and comprehensively tested. Products are then manufactured and assembled component by component in our company-owned factory. Efficient channels of communication and integrated work processes guarantee the highest level of reliability of our products. 100% Made in Germany is an essential statement for ProKASRO. To operate the installation of CIPP pipe liners in an efficient manner we produce KASRO UV curing systems since 2003. The use of specially designed UV lamps and their shadow free positioning on the UV light core facilitates trouble free liner installations in the sewer from DN150 up to DN1500. The process is monitored by the operator via the heat resistant pluggable camera located within the UV light core. Infra red sensors positioned on the UV light core transmit laminate curing temperatures to the operator. Final tests showed that the new Pro-KASRO UV-Technology provided curing times which sets new standards. In the future up to 18,000W get possible. The new KASRO core creates the qualification to cure pipe liners beyond diameters of DN1200 in an efficient and secure way. Due to the constructional design of the new KASRO core there is no stop curing pipe liners up to DN2000. KASRO injection sealing system was especially developed for lateral intake rehabilitation of different sizes. It will be positioned with the help of the self-propelled unit, a rotational module and a camera. The injection sealing system with epoxy resin carries the injection material directly in membrane cartridges. The material’s flow path is very short and can be injected into the damage spot quickly. The material hardens immediately. KASRO cap placement system rehabilitates lateral intakes via laminated caps. The caps are impregnated with epoxy resin. They are being inserted in short hats and put over long hats (1m). The curing process will be accelerated by a form plate and a balloon heating. The KASRO 2-component-sealing system can store a big amount of the material. Leaking branch pipes as well as cracks, leaky collars and shards can be injected. The material hardens immediately as well. The KASRO Working Robots are developed to rehabilitation work inside sewer pipes. Damage diagnoses and underground repair can be carried out for different pipe diameters from DN100 up to DN1000 or even different profiles. Excavation work, unnecessary traffic obstructions and noise are avoided. Various tool attachments permit the sewer robots to perform milling, grinding, filling, moulding and injection operations. Mainly obstacles such as misplaced pipe connectors, roots, encrustation and deposits, as well as opening connections after short pipe or inliner installation. The single components are controlled by a suitable supply cable, depending on the model. 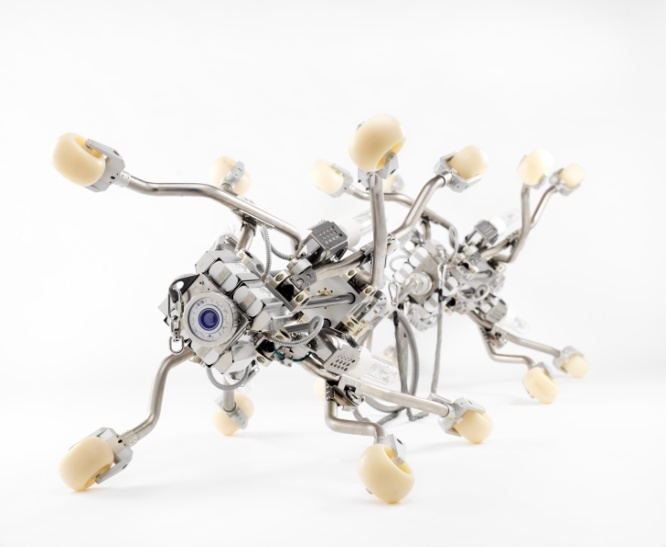 The robots are driven in different ways – pneumatic, electric, hydraulic. The video signal of the camera is transmitted from the robot to the monitor in the work-station. Through that all action done by the robot can be observed and controlled on the monitor. Some of the robots are driven by a multi-functional self-propelled unit. Branch pipe joints of various sizes are rehabilitated through the KASRO injection sealing system, the KASRO cap placement system and the KASRO 2-component injection sealing system.